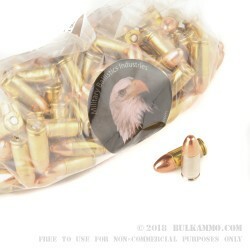 This is a 1000 round case lot of 9x19 ammunition by a remanufacturing outfit based out of the USA by the name of MBI (Military Ballistics Industries). MBI uses once fired brass to reload ammunition using a good set of protocols and component parts to bring the ammunition back to a high level of serviceability, that is on par with the low priced domestic and import ammunition available in the market. They claim to utilize premium components and it seems that isn’t just lip service to gain and retain new clientele. MBI states that they source powder from Hodgdon, primers from Federal and CCI and projectiles from Speer and Winchester. Some companies producing new ammunition aren’t even using component parts that are of that level of integrity. The 115 grain projectile is a full metal jacket bullet that is competitive with the middle of the road rounds on the market performance-wise. The brass is reusable for your own reloads but may require some resizing work you ordinarily don’t have to do. The ammunition is safe for use in any firearm chambered for the 9mm Luger round. The overall price to value is a good delivery for the consumer. Q: Is this ammo for a 9mm Luger? 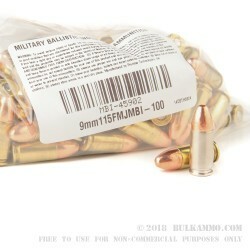 A: This 9mm MBI ammunition is designed to be fired in all modern pistols or carbines chambered in 9mm. 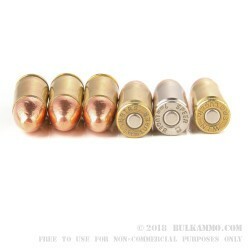 The popular 9mm round is also referenced as 9mm Luger, 9mm Parabellum and 9x19mm. While some manufacturers list their ammo with a combination of these terms, they essentially mean the same thing. Q: Are all the cases the same brand and type of brass or are the brands mixed throughout? A: This MBI ammo is loaded with mixed brass. Q: Is it ok to use these cases to reload at home, after firing them? 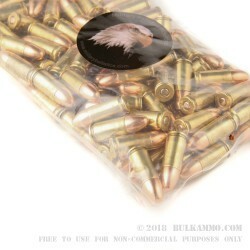 A: Yes, this MBI ammo is loaded with once-fired cases, they have plenty of life left in them and are great for reloading. Q: Have you ever had customer complaints about misfires with MBI ammo? Thanks. A: Complaints about misfires with MBI ammo are rare. We stand behind everything we sell, and will replace ammo that does not meet the expectations of our customers.